Pastrami, hummus and gin cocktails all in one new hip Boston restaurant. Our Fathers Delicatessen opened last December in Allston, a fast-changing Boston neighborhood near Harvard. 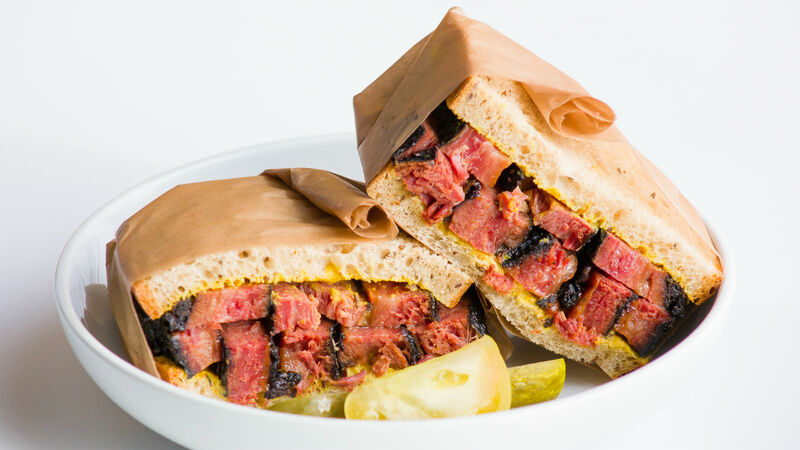 Its subtly flavored mouth-watering pastrami has smitten customers and restaurant critics alike, with many saying it rivals the best pastrami from New York to the West Coast. The accolades stand out in a city that, until recently, offered few options for high quality Jewish delis that in earlier generations, dotted traditional Jewish neighborhoods. But, wait! There’s more going on at Our Fathers, a “mid-century modern Jewish restaurant,” that hits its stride with a culinary trifecta: a take-out deli and catering on one side; a restaurant with a full daily lunch, dinner, and weekend brunch menu on the other side; and, a gleaming, gin-centric bar that boasts more than 100 varieties from across the globe. 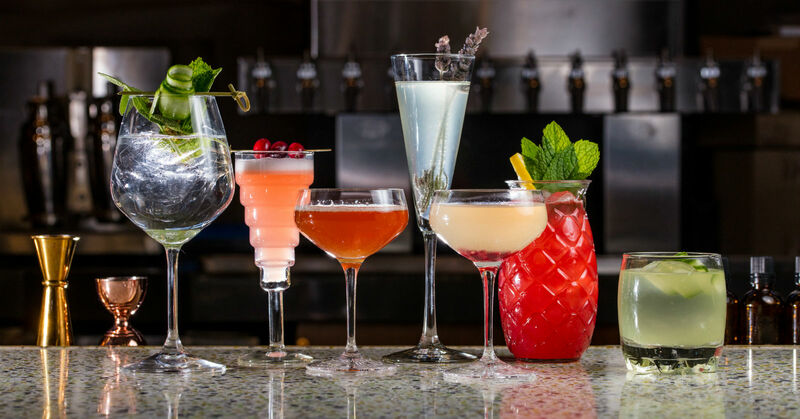 The bar offerings of alcoholic and non-alcoholic beverages are complimented with small plates for the lively late-night scene. Yes, you read that right: Our Fathers is a Jewish deli meets trendy cocktail bar. Eager deli lovers may be drawn in by the promise of the smoky house-cured, hand-sliced pastrami, but the menu is also heavily influenced by Israel-Mediterranean dishes: beet tahini with sumac and mint is scooped up with delicately crisp beet chips or with a basket of sizzling pita made from homemade fermented dough, sprinkled with za’atar, and baked in ripping hot ovens; creamy labne is served with pickled radishes, schug, and za’atar. The secret to Our Fathers’ kitchen success is its chef de cuisine, Jameson Poll, a 24-year-old rising culinary star. 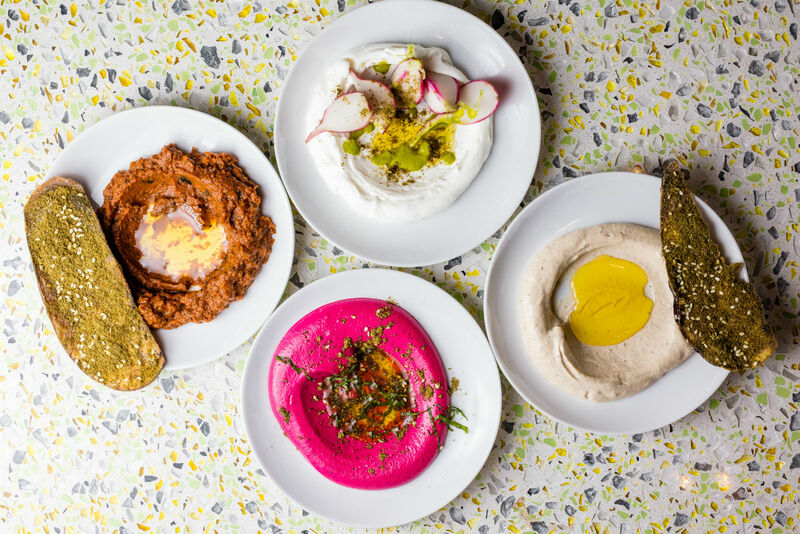 Poll first encountered Israeli flavors just a few years ago while working in the kitchen at Dizengoff, the New York City restaurant in the Chelsea Market owned by Michael Solomonov. Poll brings a surprising outsider’s flair to his Jewish and Israeli inspired offerings. Born in South Korea and adopted as an infant by American parents, Poll, who is not Jewish, grew up in North Carolina. As a teen, he worked in restaurants helmed by master French bakers and later attended Johnson & Wales University. In New York City, he flourished in some of its top restaurants, including Restaurant Marc Forgione, and the Michelin-starred The Breslin. 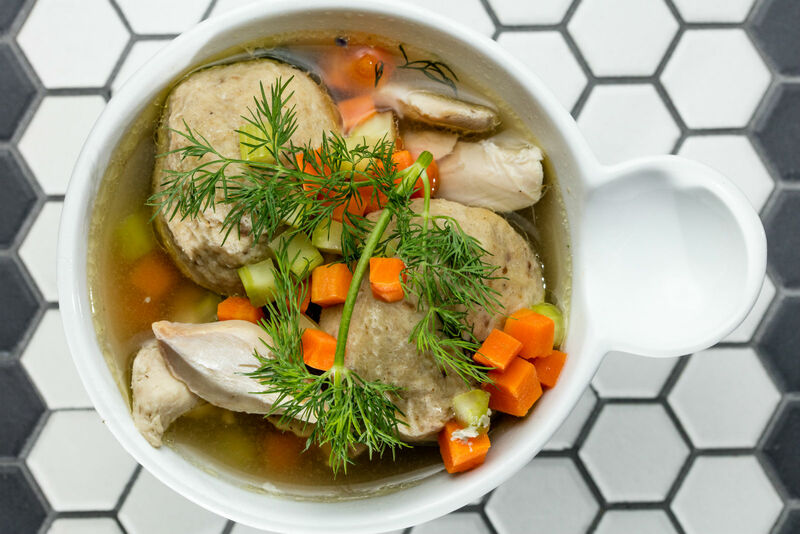 But it was his time at Michael Solomonov’s Dizengoff that opened a new culinary world — and appealed to his adventurous palette. Our Fathers is the latest venture of Boston-based Franklin Restaurant Group, which includes award-winning neighborhood-focused eateries such as the Franklin Cafe, Citizen Public House & Oyster Bar, and the East Coast chain, Tasty Burger. The idea to open a deli first took hold about four or five years ago, according to chef David DuBois, the CEO of the Franklin group. DuBois grew up in Cambridge, and his affinity for deli, instilled from an early age, was influenced by his father, who grew up Jewish in New York. “Boston used to have a proud tradition of deli,” DuBois recalled. As they began to plan, his team dove into contemporary Jewish food and were surprised by the vibrant food culture in Israel. He admires the flexibility of Israeli chefs and the cuisine. Most people are not familiar with the depth and breadth of the different Jewish cultures of the diaspora and its influence on food, he told The Nosher. As for the pastrami: “It’s an art form,” DuBois explained, describing their 14-day process of trimming, curing, smoking, steaming. “It takes a beating. It’s not for the faint of heart.” At Our Fathers, the pastrami doesn’t overwhelm people with the heavier hand of pepper, instead relying on coriander for a more subtle taste, he said. Spread with Ba-Tampte mustard, the sandwich is layered between slices of twice-baked rye — packed with caraway seeds — that is softer than the traditional, tighter version. And a half year in, the team at Our Fathers are always tweaking the process to create the best pastrami, aiming to be a national contender.